Polo Bingo is a fresh, stylish and fun online gaming platform aimed at the online bingo market. The website screams glitz and glamour and offers plenty of lively bingo fun for all players, whether you are new to the game or an experienced player looking for a top-class site at which to play your favourite bingo games. Polo Bingo is a hub of gaming activity, from bingo games to online slots and more, in fact, there are over 400 games from which to choose in one of the friendliest and most welcoming bingo communities in the UK. What’s more, you will also be treated to several exciting offers to boost your bankroll while playing at the site. 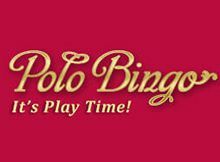 Polo Bingo features a worthwhile welcome bonus to new players joining the site for the first time. Each new player depositing a minimum of £10 will receive a welcome bonus of 200% up to £100 plus 20 free spins to use on a slot machine. This means you will earn a cool £20 when you make a £10 deposit, while those depositing £20 will receive £60 and so on. There are, however, terms and conditions associated with this bonus, including a wagering requirement of 3 times the initial deposit amount, which must be met before making your withdrawal. The 20 free spins, however, are split into three vouchers and can be used on Kingdom of Cash, Irish Luck and Fluffy Favourites online slots, although all wins earned from this bonus must be wagered 40x before withdrawing. For additional bonus offers, there is a calendar available on the site, which features the latest promotions for the upcoming week. There are daily offers available, including Tuesday jackpot games, Free Spin Fridays and happy hour on a Sunday, to name a few. There is also a VIP program where you can enjoy added perks by qualifying, including luxury gifts, a personal account manager, VIP games and competitions, and boosted bankrolls. If you are looking for a welcoming bingo platform, the Polo Bingo is it. The site is designed to be as appealing as possible, complete with stunning colours and a user-friendly interface that will attract new and experienced players alike. Everything you need is available directly from the main menu, including Promotions, Bingo, Slots and Mobile. There is a smaller menu at the bottom of the home page as well, which directs you to the Banking, FAQ, Terms and Conditions and Contact pages as well. Polo Bingo uses the Dragonfish network, which is one of the leading names in the industry. That means players can expect the best gaming experience, from high-quality bingo titles to some of the most popular casino games should you wish to explore the online casino. The bingo site features some of the top game providers in the world, including NetEnt, Microgaming, Eyecon, WMS and more. As a bingo site, you can expect a sensational array of bingo games to choose from, including 75-, 90- and 52-ball bingo rooms – over 30 bingo games are available in the live rooms and take place every few minutes. There are also mega jackpot games, which are available on schedule, so don’t forget to check out the monthly or weekly schedule so you don’t miss out on the action. The Grand 55 room is the bingo room with the biggest jackpot – a cool £55,000 if you win! To stand a chance of winning, you can pre-buy entry cards for just £5 a ticket, or you can receive tickets playing various bingo games. If you prefer, there are also other jackpot rooms with lower ticket prices, starting at just £0.01. There are also plenty of bingo promotions on offer depending on the day of the week. In addition to bingo games, Polo is home to over 200 slot titles from which to choose as well as progressive slots to help you boost your bankroll. You should take your time and look through the games lobby, which is packed with some all-time favourites as well as new titles to keep the crowds happy. These can be found under the Newest Games tab. On top of a wide range of slot games, the website also hosts plenty of live dealer casino games to up the playing ante and some exciting and easy scratch and arcade games. If you like classic blackjack and roulette games, check out the live dealer section with around 40 game variations all powered by Evolution Gaming. There is also a wide selection of video poker and baccarat games for your enjoyment. Overall, there is something for everyone at Polo Bingo. The Cashier section is where you will find all your banking options and information. There are numerous options for deposits and withdrawals, including credit and debit cards, e-wallets and wire transfers. The limits section allows you to take control of your spending habits. There is a minimum deposit amount of £10. When it comes to withdrawals, it gets processed in about 48 hours and has a minimum limit of £5. All transactions are safe and secure and protected by the latest SSL encryption software. If gaming on the go sounds like a dream come true, then Polo Bingo is the perfect place for you. The gaming platform is available from any mobile device instantly, directly from your web browser. The mobile platform allows for seamless, responsive and intuitive gameplay wherever you are. If you are an iOS user, you can even download the Polo Bingo app for free and fast access to hundreds of games and promotions available directly on your mobile device. That said, regardless of whether you choose the app or the instant website, you can enjoy fast and efficient gameplay anytime, anywhere, right at your fingertips. There are plenty of reasons to play at Polo Bingo. Bingo lovers will simply relish the number of options are your disposal, while slot enthusiasts will also enjoy a wide variety of titles to choose from. What’s more, the platform boasts a live casino for those looking for a more realistic gaming experience, complete with popular options like blackjack and roulette and its variations. You will enjoy a well-rounded gaming experience at Polo Bingo. The site also features plenty of promotions that are updated weekly, while a generous welcome bonus also boosts your bankroll the minute you make your first deposit. Polo Bingo has surely worked hard to become a strong competitor in the bingo industry and continues to offer players top-class gaming from the comfort of your home or while on the move. The customer service of Polo Bingo is available 24/7; either via e-mail, live chat or phone. The phone service is open between 9am and 1am. The site also offers an extensive and reliable FAQ- section. The e-mail address is available on the ‘Contact Us’-page The live chat can be accessed via the chat rooms Telephone number for customers in the UK: 0808 – 238 9836 The customer service phone is toll free (UK only).